One of Iran's most famous export industries is warning of disaster when American sanctions snap back into place next month. The country's carpet making industry employs hundreds of thousands of skilled weavers and earns hundreds of millions of dollars in export revenue. President Donald Trump's decision to quit the Iran nuclear deal and reimpose sanctions threatens to kill that market. "50% [of weavers] will have to find other means of earning a living, whether it's other handicraft or something entirely different," said Reza Zollanvari, whose father founded Shiraz-based Zollanvari carpets. Zollanvari uses around 5,000 weavers to make its Gabbehs, rugs that feature much simpler patterns than the more intricate traditional Iranian carpets. "[They feel] incomprehension that anyone could object to works of art and creativity, sadness, disappointment and a loss of confidence," said Zollanvari. "And of course [they feel] concern for their livelihoods." The consequences will be felt across the Iranian economy and further afield. "The Iranian carpet economy is really important," said Sanam Vakil, associate fellow, North Africa and Middle East, at Chatham House, a London think tank. "Historically it has been very strong and has a quite a large degree of local employment." 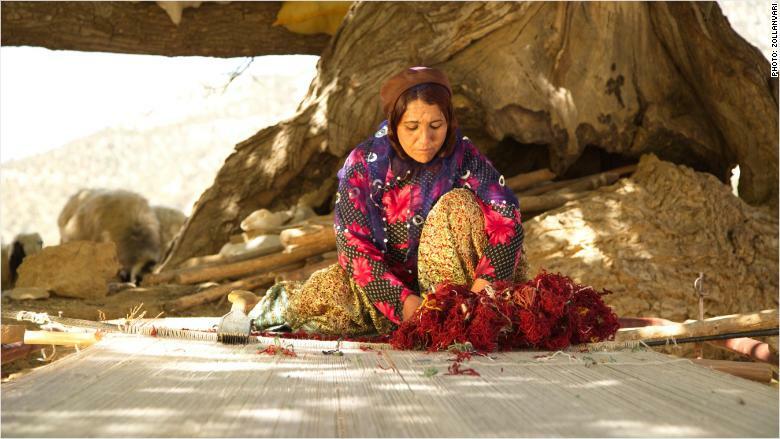 Zollanvari carpets are woven by nomadic women from naturally dyed, hand-spun wool. Following the lifting of sanctions on Iran by the Obama administration in 2016, carpet exports rose sharply. 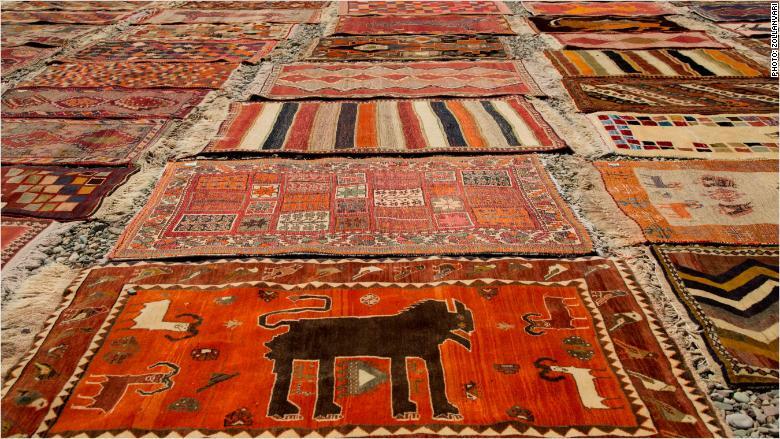 Between March 2017 and January 2018, carpets worth $336 million were sold for export — according to the Iran National Carpet Center — with the United States being the leading destination. Reza Zollanvari, whose family have been making carpets for six generations, has a very good idea of what's likely to happen when sanctions return on August 6 because he's seen it before. Eight years ago, sanctions were imposed on Iran after the United Nations found that it was secretly pursuing a nuclear weapons program. They killed the US market for him overnight. Zollanvari began shipping carpets to the US again in January 2016, when sanctions were eased. Until 2010, Zollanvari was making 3,500 square meters of carpet per year for the United States, which constituted 20% of its business. At $521 per square meter, it was a substantial and profitable market. "Our production dropped totally, even in Europe because of banking and cash restrictions, sending payments to Iran was very difficult," he said. 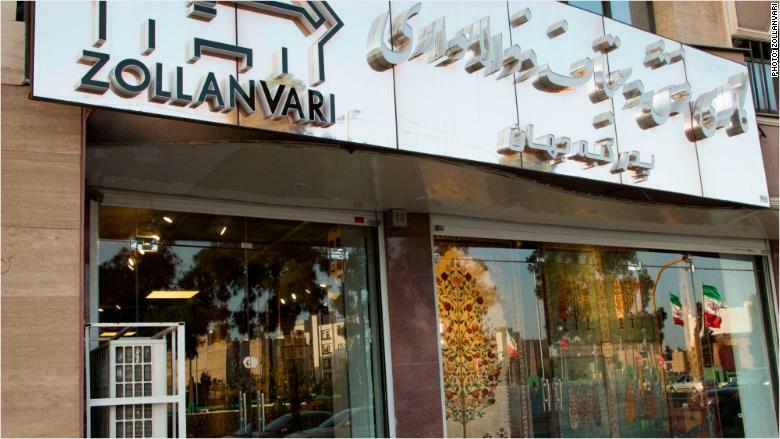 To get around the sanctions, Zollanvari decided to made silk carpets in India, establishing a base there in early 2012. Then came the lifting of sanctions in 2016 and the signing of the international nuclear accord. "It was a really good time, we started making bigger carpets, we invited Americans to Iran to show them the carpets being made. [Our] sales went up to 2,000 square meters." Zollanvari's Gabbehs feature much simpler patterns than the more intrictate traditional Iranian carpets. Business in the United States bounced back strongly, and between January 2016 and June 2018 Zollanvari was again generating 20% of its sales in the United States. That's all about to disappear once more.